One of the participants has been singing for a while, and on the course recorded a cover of a song. Over three weeks, the song has gained over 14,000 views on YouTube! Once performers have built up their set, they will be offered the stage at all major Caerphilly events such as the Big Cheese, Food Festival. 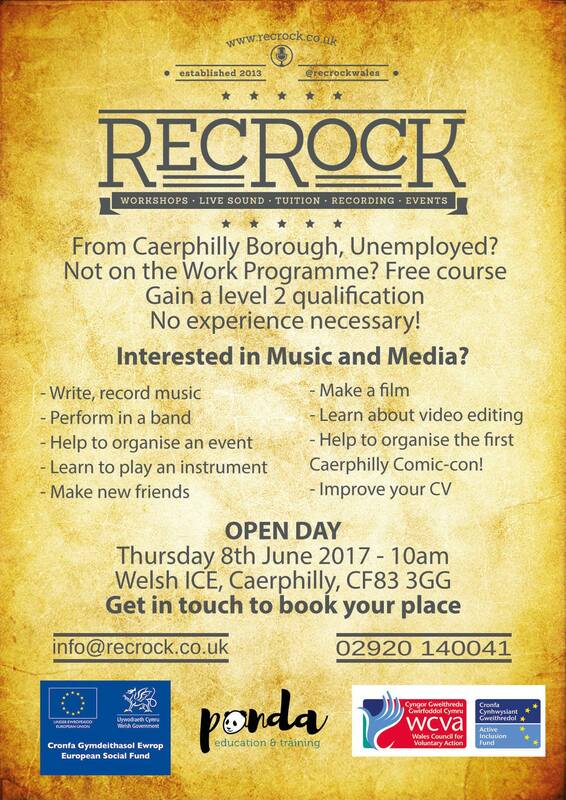 We are having an open day on 8th Jun at Welsh ICE for people to meet our current cohort and find out what we’ve been up to.